Our Not-Back-to-School VIDEO Series is Over! Here's the link to the FB Event! Between the commercials, the poolside conversations, the grocery store check-out lines - everyone is talking about this new school year approaching. They all seem to have forgotten how they complained about being miserable just last spring... but that's neither here nor there. I've watched this scenario happen every August for decades now! And here's the thing... whether you're new to homeschooling or unschooling, or you've been doing this for a while, it can still get under your skin. That's why I did these videso for 5 days in a row. Virtual coffee dates to help you combat all the hype! For those of you who missed it live - you were not forgotten!! 3 - What to do INSTEAD? 5 - Keep school from creeping back in. More Knowledge and Support - that's what you need! "Do you feel like your child is missing out?" I'm so happy we've connected! I have so many resources to share with you! 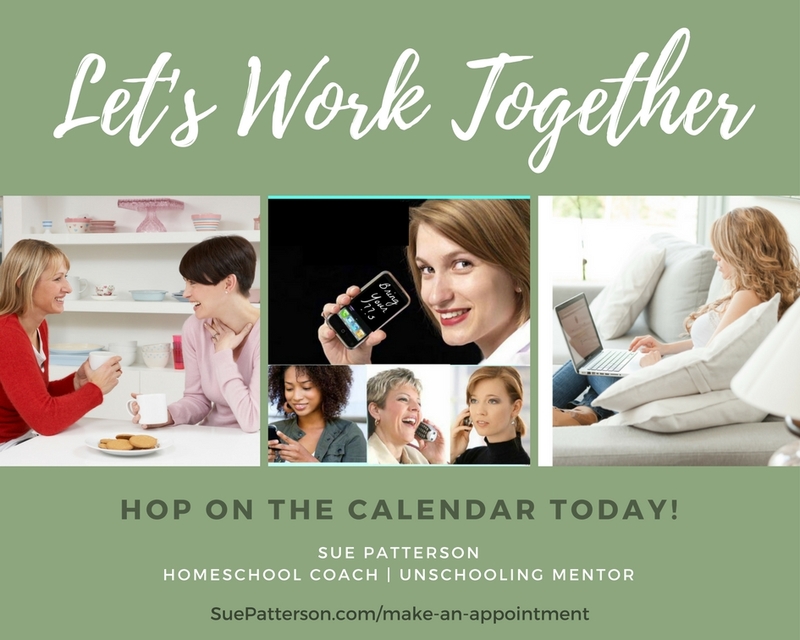 Click a coaching session on the calendar. And if you'd like to join us in my private coaching group, I'd love to have you! We have a lot of fabulous plans for the Fall with guest speakers, topics and weekly coaching calls. You don't have to do this alone - join other parents on this same path AND get online coaching from me! Only $20/month!